Pneumonia is an acute or chronic inflammation of the lungs caused by viruses, bacteria or other microorganism or sometimes by physical or chemical irritants. The symptoms of the disease include; cough, fever, chest pain, fast breath, nausea and vomiting. It is at high risk to contact the disease after having cold or flu. Similarly, Patient with long time and chronic disease like asthma, cancer, diabetes contact the disease easily. 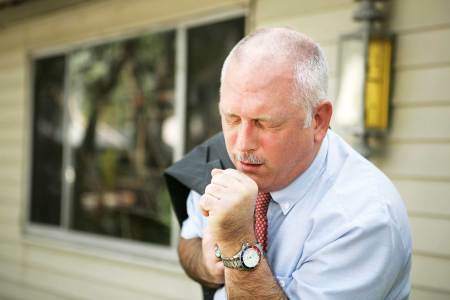 Smoking is a dangerous act which can precipitates pneumonia. It involves inhalation and deep penetration of active substances into the lungs. These substances are harmful because the contents are from dry leaves. A dirty environment breeds unnecessary germs, not healthy and hygienic. Pneumonia is an air borne disease in which keeping of a dirty environment causes pneumonia. You can keep a clean environment by sweeping regularly, dusting, keeping clean rags, do not keep dirty clothes and so on. Washing of hands should not only be after using the toilet, it should become a regular habit because it washes off bacteria which can cause any form of diseases. Hand washing should be done after cleaning,cooking, after touching anything non eatable and so on. Vaccination is taken to get protection against particular disease. The vaccines should be against air borne disease like chicken pox, measles and flu and so on. In addition, they are important because it prevents pneumonia complication. The two vaccines which are important to be taken are pneumococcal conjugate and pneumococcal polysaccharide vaccine. When there is cross ventilation in a particular place or gathering it prevents inhaling each other’s breathing. It is advisable to have a cross ventilation in places like hostel, dormitory and anywhere with a large population. Eating good food makes the immune system stronger. It prevent weak immune system but when malnourished some part of the body become inactive and it can pave way to being expose to pneumonia. Avoid staying too close with people that have cold, flu or any air borne disease especially if you are not immune. Pneumonia as a disease can be contagious so it is health wise to say away from people who have the disease. Pneumonia is a preventable disease. However, it is common when a child is below a year and also common with ages 65 and above. The same way pneumonia is contagious is also preventable, when detect the disease it is advisable to visit the doctor so as to avoid self medication which can complicate issues.